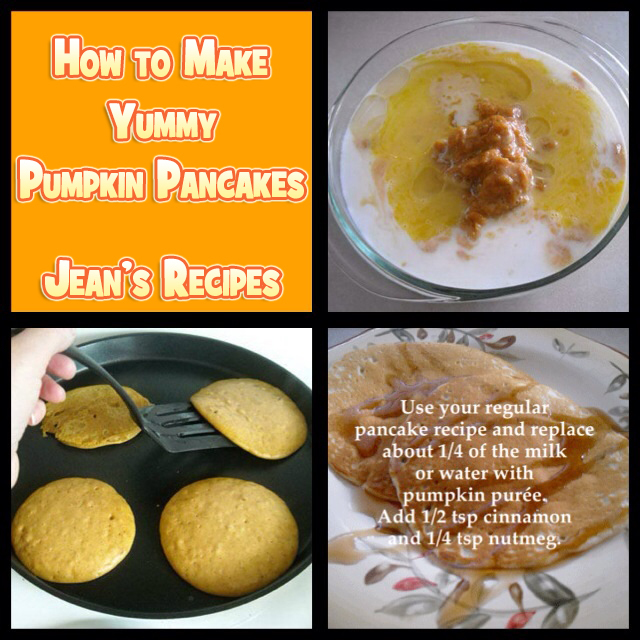 Since October is pumpkin month, here is a yummy recipe for how to make pumpkin pancakes. Use your regular pancake recipe and replace about 1/4 of the milk or water with pumpkin puree. Add 1/2 teaspoon cinnamon and 1/4 teaspoon nutmeg. Serve with maple syrup and enjoy.